The drug, Praluent, also led to fewer deaths among high-risk patients, which could be the strongest argument for insurers to finally remove barriers that have severely constrained sales and frustrated physicians trying to get the medicine to patients. Insurers have balked at paying for Praluent and a rival Amgen drug, which dramatically lower “bad” LDL cholesterol but carry list prices of more than $14,000 a year before discounts, over fear of the cost of use over many years by millions of patients. They have routinely rejected about 70 percent of prescriptions written, the companies have said. 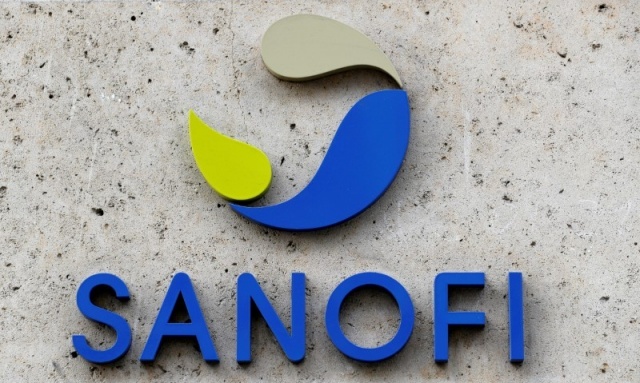 Regeneron and Sanofi said on Saturday they would lower the net price of Praluent if onerous barriers to its access are removed for the highest-risk patients. That price would be tied to an independent review of Praluent’s value based on the new risk reduction data from the multi-year study called Odyssey Outcomes. “The hard data from the Odyssey Outcomes trial confirms … that treatment with Praluent does lead to a reduction of both cardiovascular and all-cause deaths, particularly for the higher-risk patient population,” said David Whitrap, a spokesman for ICER, which conducted the review. The study tested the injected biotech drug versus placebo in nearly 19,000 patients who had a recent heart attack or severe chest pain episode and were already on maximum doses of cholesterol-lowering statins, such as Pfizer’s Lipitor. The trial succeeded on its primary goal – reducing the combined risk of heart attack, stroke, heart disease-related death and chest pain requiring hospitalization – by 15 percent. While fewer heart-related deaths with Praluent did not reach statistical significance, there was a nominally significant reduction in all-cause deaths – 334 versus 392 for placebo, researchers reported. In a subgroup analysis of highest-risk patients – those with “bad” LDL cholesterol of 100 or above despite maximum statin therapy – Praluent significantly reduced all-cause death risk by 29 percent and risk of the adverse event composite by 24 percent. “I think that will impress the field and people who have to make (reimbursement) decisions,” said Dr. Phillippe Steg, the study’s co-chairman who presented the data at the American College of Cardiology meeting in Orlando, Florida. Dr. Valentin Fuster, who critiqued the trial at the meeting but was not involved in the study, said the data show that what is considered normal LDL today may be too high. Odyssey followed patients on average for 3.3 years and the risk reduction versus placebo was increasing over time. “It may take years and years to really reap all the benefits that one can achieve,” study co-chairman Dr. Gregory Schwartz said. With an LDL target range of 25-50, rather than taking it as low as possible, three-quarters of patients ended up on a lower dose of Praluent and some were taken off the drug if their LDL remained at 15 or lower. It is unclear if benefits would have been more pronounced had more patients received the higher dose. The drug was deemed extremely safe with no difference from placebo in incidence of neurocognitive problems or new-onset diabetes.